The beautiful Mitchell/Riopelle: Nothing in Moderation exhibit is currently on at the Art Gallery of Ontario until May 6, 2018. 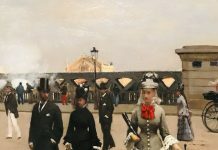 The exhibit focuses on the twenty-five-year relationship between the two painters, and the undeniable influence they had on each other’s lives and artistic styles. 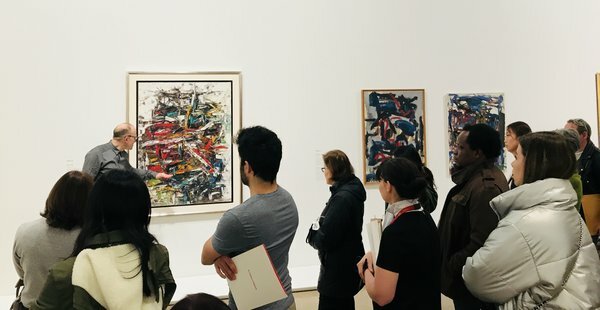 Torontonicity was invited to a curatorial tour with the AGO’s Assistant Curator of Modern Art Kenneth Brummel, where we learned about the peaks and valleys of the relationship that played out on both Joan Mitchell and Jean-Paul Riopelle’s canvases. 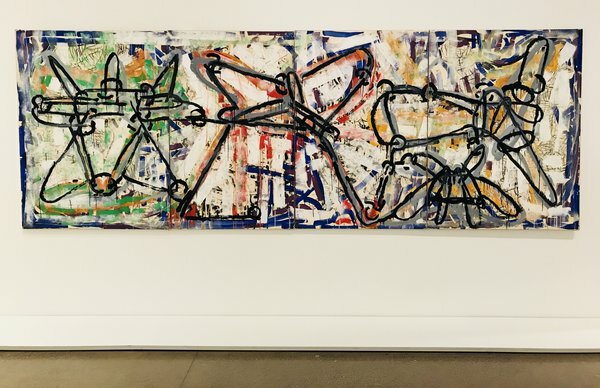 The Mitchell/Riopelle: Nothing in Moderation exhibit at the AGO is organized by chapters of the relationship and starts by demonstrating the separate styles of the artists: Before the Encounter. Joan Mitchell (1925-1992), born in Chicago, was a brilliant colourist who worked in the abstract style. On our tour, Brummel starts by introducing the washes of colour that Mitchell used, while respecting the boundaries of the canvas which can be seen through sweeping brushstrokes that run parallel to the edges. Montreal’s Jean-Paul Riopelle (1923-2002), despite also being an abstract painter, had a distinct impasto-style (thick layers of paint) technique with very deliberate palette knife strokes. Where Mitchell openly embraced a combination of pastels, with acidic and muted tones, Riopelle’s compositions were dominated by black, white, and red with the occasional yellow or blue tone peaking through. Chapter Two is titled “The Meeting (1955-58)” and begins when Mitchell visits a Riopelle exhibit in New York City in 1954 where she is inspired to use blocking (deciding what the dominant colours of the composition are, and then laying those colours down first). Brummel informs us that the artists met in Paris 1955, and shortly after, Mitchell received a bouquet of canvases from Riopelle. As an art lover, this has to be the most romantic idea ever! The initial meeting immediately inspired affection and artistic influence, as Riopelle shortly after begins using gouache, a water-based paint that facilitates sheer or diluted colours, as well as thick layers. Brummel shows this new style in one of Riopelle’s self-portraits that stand out as dramatically different from his original style with vibrant streaks of many colours. K. Brummel tour group with Riopelle self-portrait at the AGO. 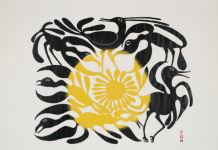 The third chapter of the exhibit is “Points of Convergence, 1964”. 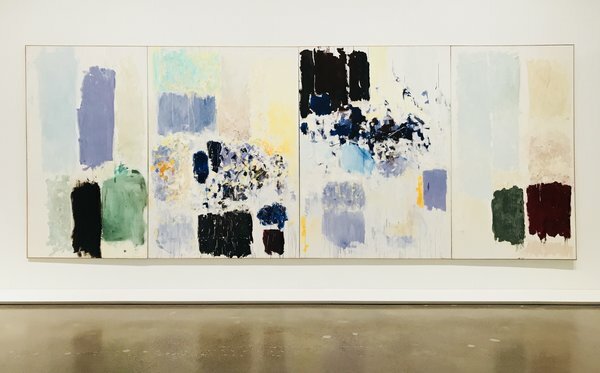 Here we see that both artists begin using a multi-panel strategy, with triptychs and diptychs that breath: the canvases are large, vibrant, light, and inspiring. This is the height of their romance. Brummel points out that the artists also create pieces that seem to speak to one another; when you’re in this space, take note of how the triptychs have a similar balance in their compositions and you’ll see the conversation. The fourth chapter introduces the decline of their relationship, and is titled “Separate Studios, Separate Territories: 1968-74”. This space contains my absolute favourite painting by Mitchell titled Chasse Interdite [Hunting Prohibited] from 1971. Brummel tells us that this is Mitchell exclaiming her independence, saying that she cannot be hunted – one of Riopelle’s favourite past times, which she truly detested. Her fearlessness with colour is breathtaking, as the four canvases are covered with the subtlest of blues, punctuated with the brightest of yellows, and grounded by the bloodiest of reds. Absolutely beautiful. Riopelle’s response is located directly to the left: a quadriptych covered in solid and dripping black paint with a frantic background of colour. Brummel explains that the title, Avatac, is a rabbit snare – hunting traps. 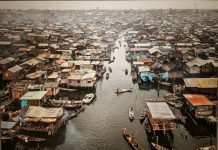 Brummel had informed us that the exhibit was not possible previously, because the artists refused to acknowledge one another or their relationship. After viewing these works, one can understand the intensity of this bond. The fifth and final chapter, “Two Solitudes and the North: 1975-77”, is about their resolute ending. Brummel eloquently explains that the exhibit isn’t just about the relationship of these two artists, but also about the genuine love of painting itself. The intensity of emotions, and the sheer amount of paint, clearly demonstrate zero moderation. For any lover of modern art or abstraction, this exhibit is a must-see. 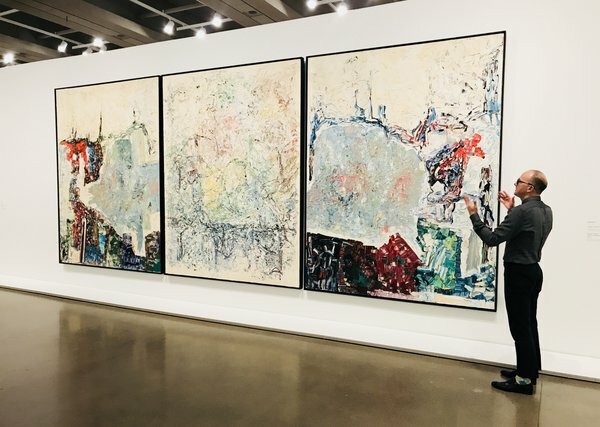 I would recommend positioning yourself directly in front of each piece so that the far edges of the canvas fill your field of view, allowing the colours to take over, then step back and take note of the stylistic conversations that take place between Mitchell and Riopelle’s works. Visitors can see the exhibit with a general admission, or for free during Wednesday evenings! Make sure not to miss Mitchell/Riopelle: Nothing in Moderation at the AGO and enjoy the rich history of these masters. Mitchell/Riopelle: Nothing in Moderation is currently on at the Art Gallery of Ontario until May 6, 2018 and is included in general admission. The Art Gallery of Ontario is located at 317 Dundas Street West, Toronto. The pieces are very beautiful and unique. Will try to go and check it out in the next week.